The Leinster Hockey Umpires Association is the body in Leinster responsible for training, developing and appointing umpires. Formed in 1904, the association is the oldest hockey umpiring association in the world. 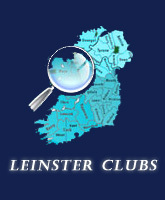 The LHUA regularly run training sessions in Leinster for club and member umpires. Details of these sessions will be posted in the news section, distributed to clubs & schools as well as social media. As well as umpiring in Leinster, members of the LHUA are regularly appointed to Irish and International Competitions. Most recently Carol Metchette umpired at the London Olympics, having previously umpired at the Beijing Olympics while Ray O'Connor was the Umpire Manager at both London and Beijing. Ray was also appointed to the Atlanta, Sydney and Athens games. In addition to Carol and Ray, other members of the LHUA have attained International FIH Level ; Kieran Bolger, Geoff Conn, Kris Cholewa & Alison Keogh. As well as International umpires, the LHUA also has a number of International Umpire Managers ; Tom Goode & Karen Eppel (FIH) and Claire Kelly (EHF).